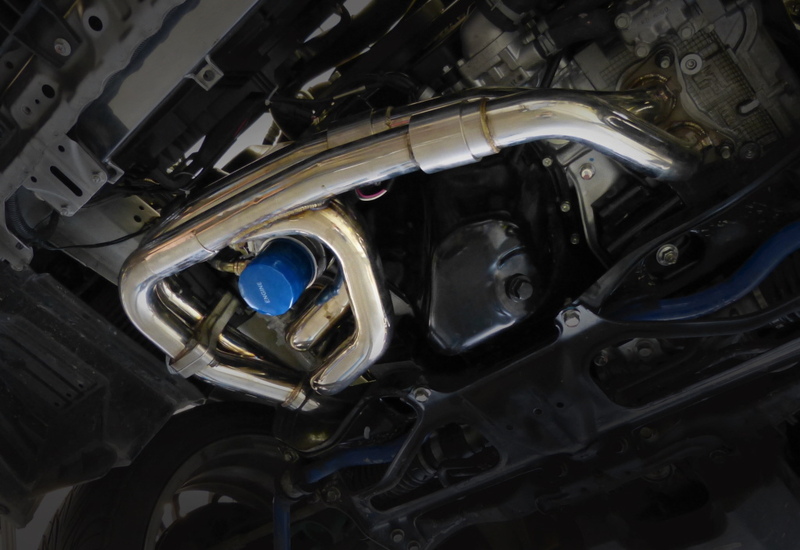 We’ve tested our Chip-Racing Performance Split Scroll Header on a Subaru Impreza STI MY2004. The STI’s only tuning was our CRTEK1 Software paired with a Catback Exhaust, anything else was stock on the EJ20. The Diagram shows the two curves of the CRTEK1 compared to the CRTEK1 with our Header installed. We’ve not changed anything on the ECU, the 2 curves you see are running on exactly the same ECU-Program! The test proves what the customer was saying, the header turns the Subaru into a complete different car! The header supports the turbo spool better, as result full boost is achieved 400RPM earlier producing more power and torque at the same boost level! 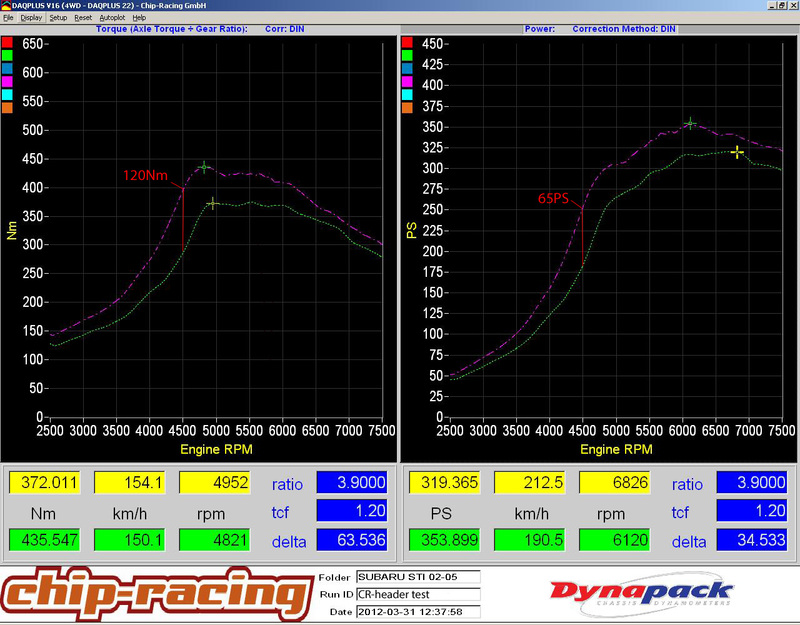 The Diagram clearly shows how much stronger the EJ20 is, especially at around 4500RPM! Once again our test shows what tuning is worth it’s money… our Chip-Racing Split Scroll Header definitely is! We recommend this product to anyone who wants to get that little extra out of his Subaru!